I came across a quote the other day from the late Christopher Hitchens, and it’s both too good, and too applicable to the LSAT, not to share. Hitch opines, “skepticism rather than credulity is the highest principle that the human intellect can use to ennoble our existence.” And while I agree wholeheartedly with the great man’s intent, for our purposes here I’m reminded of a common concern students face: namely, how do we know what to treat with skepticism, and what to treat with acceptance as we move through the test? More specifically, there’s an oft-asked question* that arises among test takers regarding how to discern truth from supposition–and, similarly, how much “real world” knowledge is allowed, or possibly required, when tackling LSAT Logical Reasoning (and, to a lesser extent, Reading Comprehension)–and I hear this issue raised frequently enough that I thought I’d take a moment to address it directly. The short answer to the subject knowledge question is, “Not much!” And that’s good news, of course, but woefully insufficient for our purposes here. 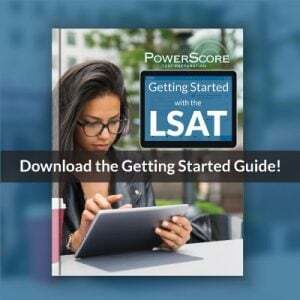 So let me explain when and where your non-LSAT experiences/knowledge might prove useful, where that information is to be avoided, and how you can tell the difference. 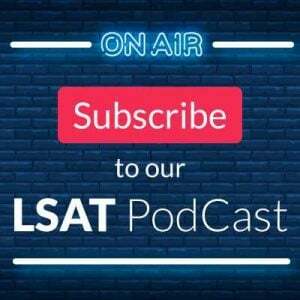 To start, I should mention that I’ve covered a similar idea previously, in a blog post titled, “What to trust and what to question in LSAT Logical Reasoning,” and the commentary here will echo a number of those points. That said, I hope I can add enough originality to the previous discussion to make the two feel more complementary than redundant. Most people fail to realize that every passage-based (LR and RC) question on the test contains clues, sometimes explicit and sometimes less so, as to exactly what information within the passage/stimulus and answer choices can be taken as given, without any need for doubt, debate, or manipulation, and what information should be scrutinized as potentially suspect. Put simply, you have a “safety zone” of sorts in every question, where you can trust what you’re told and use it to evaluate or influence the rest of the question. Imagine two questions stems, worded as follows: “If the statements above are true, which of the following must also be true?,” and “Which of the following, if true, would be most helpful in establishing the author’s conclusion?” In each case, it’s explicitly clear which part of the question is given as true–the stimulus in the first (a Must be True question), the answer choices in the second (a Strengthen question)–and which part, by default, should then be treated with suspicion. What this means is that the Must be True question requires you to use only the stimulus as you consider the validity of each answer choice, and the Strengthen question prompts you to accept the truth of the statements in each answer, and weigh the impact each of those facts would have on the questionable reasoning in the stimulus. Bringing in outside considerations or personal knowledge to the stimulus facts in the former, or to the answer choice facts of the latter, would be a mistake, likely a costly one. But as I said, it’s not always so explicit. Consider these two examples: “Which of the following can be most logically inferred from the passage?,” and “Each of the following would help justify the argument above EXCEPT:” Here we no longer have the “if true” indicator, but truth can be easily determined nonetheless. In the first (another Must be True question stem) the stimulus/passage is used to infer an answer choice, meaning the stimulus/passage is the truth on which your answer analysis is based; in the second (another Strengthen question stem, albeit a Strengthen-Except where the four wrong answers each help the argument) the answers are used to positively affect the author’s viewpoint, so the answer can be taken as true and their impact evaluated. In every instance the same relationship, the same “flow,” between stimulus/passage and answer choices exists! So how to best visualize these relationships, and what exactly do I mean by “think inside the box” in the title of this post? Take a look at the image above, where you have “passage” boxes connected by arrows to “answer choices” boxes. What that contrasting pair of relationships represents is the way in which acceptance and skepticism “flow” as you work through various questions types. In the first, top-down relationship, you have a passage or stimulus where the text given, whether factual (Must Be True, Cannot Be True) or argumentative (Flaw, Method, Parallel, Main Point, etc. ), is your sole source to skeptically evaluate the answers, and you essentially live within the box that is that initial information. Bring nothing else in! The second pairing moves in the opposite direction, with the answers given as truths (Weaken, Strengthen, Assumption, Justify, Resolve, etc.) and the stimulus/passage scrutinized. Here, you’d struggle were you to add to the answers, supplying anything beyond what you’re told in A through E. It’s imperative that you live within the boxes of given truth, not altering or adding to the information supplied! So you can see just how critical it is to be skeptical, but directed towards the appropriate elements within the question. These considerations also influence how you’ll prephrase. I’ve written at length about the prephrase process, in terms of how to execute an ideal prephrase and a drill to help you refine your technique, so I’ll spare you repetition, but I do want to emphasize this: if you’re given the stimulus as truth, your prephrase must come directly from it, regardless of how specific you’re able to be; if you’re told the answers are true your prephrase is often broader–the correct answer may be extremely predictable, like a Supporter Assumption, or it may be quite broad, where all you know is that it will undermine the author’s conclusion, whatever it may say. The key is that you use the truthful portion to critique the rest. 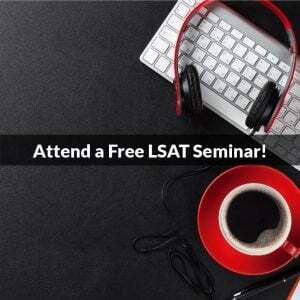 The take-away is that the LSAT is a much narrower, much more confined exam than commonly assumed! Revel in the fact that you’re given a whole lot of information that requires nothing more than acceptance, and that then serves as the source for your evaluation of the remaining elements. Success, then, hinges largely on your ability to correctly identify what you can trust, and how to most appropriately use it. Questions or comments? Let us know below, or reach out to us at 800-545-1750. * A similar question, “How closely will LSAT information conform to the real world?,” also gets asked, and the answer is that the test makers are under no obligation to always make real-life sense, but won’t ignore the rules of reality to the point that situations become unrecognizable. The governing, common sense principles of the universe will be respected, in other words. But as described above, the inquiry itself only applies to the portion of the question not given as truth; that which you’re told to accept should be accepted no matter what, and the rest should be viewed through the lens of conventional reality.